We all have our brush with stubborn Windows Installer pop ups. And we’ve felt every imaginable shades of annoyance toward this. What’s most annoying is the phrase that says “Preparing to install” without saying or showing you anything else. If that doesn’t get at you, wasted time probably will. Windows installer helps you work with various software fairly easily. Windows installer makes installing, upgrading, deleting, and changing software, very easy. Other than that Windows installer gives you customized software installation. Moreover, Windows installer helps you manage shared resources and you can check applications even while Windows is running. 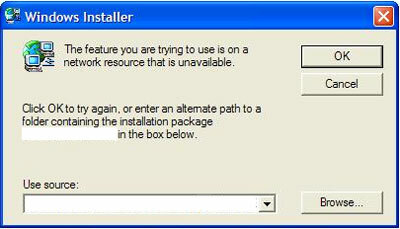 As it is, the best move is to understand what causes Windows Installer to pop up so you know where and how to stop it. Like all kinds of freeze, the cause may be hard to tell at first look, so a closer inspection of these things must be done. 1. Incomplete set up. An incomplete set up leads to corruption of your PC’s registry. 2. Driver incompatibility. That is, if you’re running on 64th platform. See to it you install 64bit drivers for you applications. Many computers running on x64 show this error after HP software has been installed. If another program is causing it, uninstall and replace it with 64bit version of the installer. Run problem application using compatible Windows XP SP3. 3. A new software or program has been installed but is not running. All along you thought the new software has been set, but in fact it’s not running well. In this case you need to have your CD-ROM to finish installing. Also, check the last program or software you installed. Windows installer should appear—then, put in the software for Windows to read it. You can now install the missing files. Click “Start Up List” at the top and look at the list to locate the controversial file. Select only that file to be deleted. Where there’s change, go to “Program Files” on the main drive. On second thought, not even the fastest computer today is inured to freezing—not when it has more programs and files than it can handle. But it’s consoling to think that Windows Installer pops up because it wants to work right away.